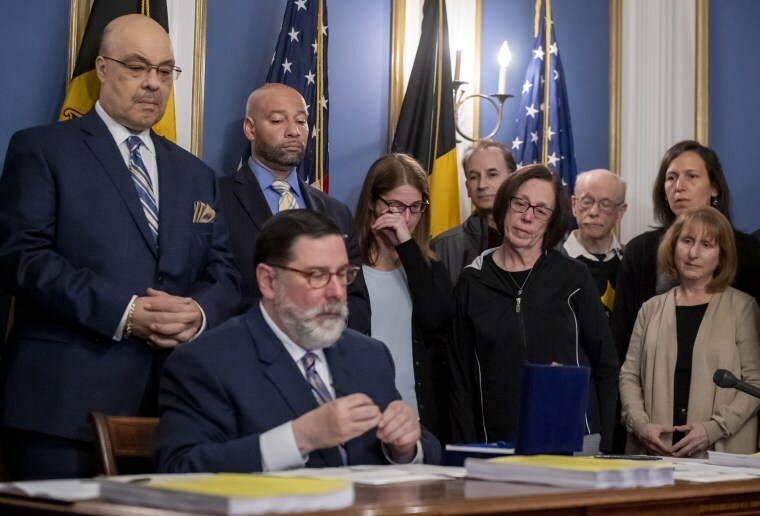 Democratic Mayor Bill Peduto signed the bills into law in a ceremony at the City-County Building, declaring the community had come together "to say enough is enough." City officials said they had to act because the Republican-controlled Pennsylvania Legislature — which is planning to hold a memorial service for the victims this week — will not. The Pittsburgh bills — proposed not long after the deadliest attack on Jews in U.S. history — were weakened ahead of City Council passage in an effort to make them more likely to survive a court challenge. While one of the bills originally included an outright ban on assault weapons, the revised measure bars the "use" of assault weapons in public places.